Ikea Nursery Furniture - Which? Planning on going for a flat-pack nursery? Find out how Ikea baby furniture is rated by parents who own it. We asked parents to tell us what they thought of Ikea nursery furniture compared with other brands, so you can find out whether it's worth going for a budget option such as Ikea for your baby's cot bed, dresser, changing table and wardrobe, instead of splashing out on more expensive brands such as Mothercare or Silver Cross. We surveyed 664 parents and asked them to rate the top nursery furniture brands, including Ikea, on the furniture's ease of assembly, look and feel, sturdiness and value for money. Ikea was the most commonly owned nursery furniture brand after Mamas and Papas. Only logged-in Which? members can view our exclusive ratings in the table below. If you're not yet a Which? member, sign up for a £1 Which? trial to get instant access. Visit the rankings to compare Ikea with other brands. The Sundvik range (above) is one of Ikea's pricier options. 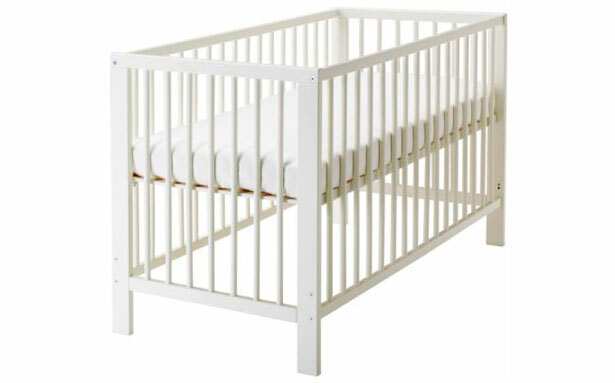 The Sundvik cot is £90, changing unit £130 and wardrobe £130*, but this is still very cheap in comparison with other nursery furniture brands. It features a cot bed, which can be converted into a day bed with the side taken off, and the changing table doubles as a chest of drawers. The changing tray can be folded up and converted into a shelf on top of the drawer unit. The Sundvik wardrobe is deep enough to hold adult-sized hangers so can still be used as your child grows. You can also get a Sundvik rocking chair for £30. The Hensvik range (above) is mid-priced for Ikea. It includes a cot that can be adjusted to different heights but it isn't a cot bed. The changing table doubles as a cabinet, so the changing tray can be folded away and removed to convert the unit into a cabinet when changing facilities are no longer needed. You can also get a matching wardrobe. The cot is £60, wardrobe £80 and changing cabinet £60. 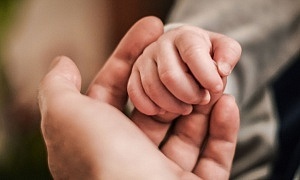 At the lower end of the budget, Ikea's Flittig cot, and Sniglar changing table and wardrobe are basic, functional pieces. The cot bed, which retails for just £30, resembles a travel cot – see above – and cannot be converted. The changing table (£25) is at the height for changing but is essentially just a wooden-framed table so could be used for other storage purposes once no longer needed for changing. You can browse more Ikea nursery furniture in our galleries below. Most people are familiar with Ikea's flat-pack assembly method, and all furniture will come ready to assemble. There is an option to purchase an assembly service, which is organised through Ikea. Ikea's independent furniture-assembly partners will charge a standard basic rate of £25 plus 20% of the full retail price of your furniture. How much does Ikea nursery furniture cost? 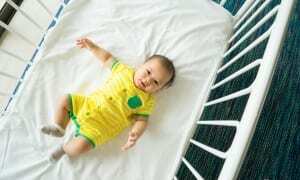 Ikea's nursery furniture range comes in at the lower end of the price spectrum: a full Ikea nursery set can cost as little as £120, which is a quarter of the price of a cot bed from a premium brand such as Silver Cross.